Every means available to the College of Engineering will be used to detect, restrict and/or prosecute individuals responsible for the abuse of network resources. This section provides specific examples of the types of abuse not tolerated. This list is by no means complete and is subject to change without notice as new ways of abusing resources are discovered. Penalties for abuse of network resources include, but are not limited to, temporary restriction of network privileges, permanent restriction of network privileges, and criminal prosecution. 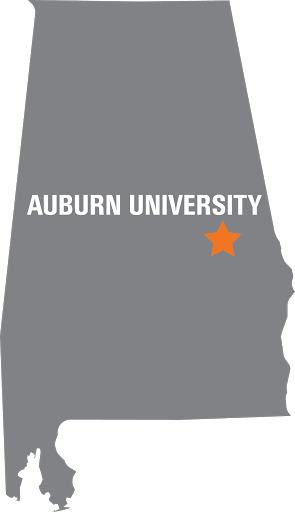 Theft and vandalism of network resources will be handled by the appropriate authorities (Auburn University Police and/or Auburn City Police). The College of Engineering will pursue and support criminal prosecution of individuals suspected of theft and/or vandalism. Anyone for whom an active account does not exist, found using any College of Engineering network services, will be referred to the appropriate authorities. For university staff, students and faculty the individual's department head and/or dean will be notified. Incidence involving individuals not directly associated with the university will be handled by the AU Police Department. If direct expenses are incurred by the College of Engineering during unauthorized used (i.e., paper, printer supplies, etc. ), the College of Engineering reserves the right to pursue full reimbursement of those costs from the individual. Use of restricted network services without authorization is considered an abuse of privilege and may result in restriction or denial of network access. Current restricted-use network resources include printers reserved for use by an individual, department or research group, and Sun workstations and servers which have restricted login access. Any attempt to gain access or to use an account other than by the owner will be considered a severe violation of network policy. Such attempts include, but are not limited to, gaining access to a user's account while the user is away from a terminal or a workstation or efforts to determine another user's password by closely watching a login. The appropriate action if you find another user logged on but not near the machine is: type whoami to determine the user. Try and locate the user; if not found, log the user out immediately. Possession of tools which can be used to subvert security is grounds for account suspension. Any attempt to crack or otherwise obtain passwords is prohibited. Storing or transferring encrypted or unencrypted password information is prohibited. Writing, transferring, compiling or running programs designed to guess passwords or otherwise gain unauthorized access to user or system accounts or passwords is prohibited. This includes programs or techniques designed to trick users into divulging their password. An account is assigned to an individual. That individual is solely responsible for all actions traced to the account. Sharing accounts or account passwords is prohibited. If some users need to work together in a group, they must follow the proper guidelines for work group access to files. Persons who may be liable for damage done on a shared account include the owner and everyone else who has access to the account. Using instructional accounts for funded research or other non-instructional purposes is prohibited. Unauthorized access to information contained in a user's home directory is prohibited, even if the files are readable and/or writable. When in doubt, don't read, copy, or change other users' files. Modifying files anywhere on the system without consent of the file's owner is prohibited. This includes writing or modifying files which have file permissions set to allow modification or writing. This also includes creating new files, renaming, or deleting existing files in directories which may have directory permissions set to allow creation or modification of files. When in doubt, don't write. Use of network services for the receipt, distribution, or use of and copyrighted software or material without the express consent of the copyright owner is prohibited. Use of College of Engineering network resources for personal or pecuniary purposes is prohibited. Most software packages and applications are licensed and/or copyrighted. Most licenses and copyright agreements specifically prohibit copying or unauthorized use of the software or data. When in doubt, don't copy. Disruption of service is prohibited. In a computer network such as the College of Engineering network many services depend on remote service providers. These providers may be workstations, printers, terminal servers, etc. In a complicated network with many hosts and service providers, it is often difficult to ascertain what impact the disruption of service may have on the network users. Therefore, any disruption of service of any networked device is prohibited. attempts to boot the machine from other than the default boot disk running programs which lock the screen or keyboard (exceptions to this are system administrators or system administration employees working on systems related programs and machines located in offices with approval of the office occupant; machines located in departmental labs are governed by the department's rules regarding screen lock programs. The machines on the College of Engineering network represent an enormous amount of processing power. It is tempting for users to attempt to run programs on as many machines as possible to decrease the total turnaround time of the job. However, running jobs on remote machines can have a serious impact on the interactive performance of the machine. This could render the machine virtually unusable to anyone else. This problem is even more acute if the offending program performs a large amount of I/O, bogging down the network and the file servers. In general, using multiple remote machines for running computational programs is prohibited. If a user has a large computational problem they should contact the systems administrator to work out a plan BEFORE crunching the network machines. Many GigaBytes of disk storage are available to users on the College of Engineering network. However much total disk space is available, it will all be used. User accounts are set up such that each user has a home directory for storing files. The home directories are spread out among many file servers. The home directories are segregated such that all undergraduate accounts are on one set of disks and all other accounts are on departmental disks based on the user's department. Since there is a limited amount of disk space free, all users are encouraged to control their disk usage by archiving and deleting old or unused files. Users should also try to avoid duplicating files which are available elsewhere on the network (such as files located in the /opt/demo directory). Disk quotas may be enforced on some home directories. Electronic mail is the primary communications tool used by network users. Due to the design goals of the Internet, electronic mail security is not very strong. Therefore e-mail should not be used to transfer secure or confidential information. Electronic mail is covered under the Electronic Communications Privacy Act of 1986. This act provides for prosecution of individuals found surreptitiously capturing, reading or altering another's e-mail without permission. Electronic mail is delivered directly to a user's account. Mail deemed obscene, or otherwise abusive by the recipient will be considered an abuse of network privileges. Do not e-mail any message you would not be willing to sign and put in the mail. Any attempt to forge an e-mail message will be considered an abuse of network privileges. If a user receives mail that could have been forged, it is in the best interests of all parties involved to confirm the e-mail with the supposed sender via personal contact. If it is determined that the e-mail is a forgery, contact the systems administrator postmaster. Please save a complete copy of the message for further investigation. Users of remote sites or remote site services are bound by the rules, and polices of the remote site. If you do not know the remote site's rules and policies, adhere to those outlined in this document. Anyone knowingly attempting to proliferate, write, or ftp worms or viruses of any size, shape, or form will be remanded for criminal prosecution. Through the use of .rhost file users can allow others access to their account without knowledge of a password. This is an inappropriate delegation of authority. Use of personal .rhosts files will be considered a security breach. When found, they will be deleted. Using ftp to transfer files to or from remote sites which violate the policies of the remote site is prohibited. In particular, transferring files which are large, contain material offensive to either site, contain information to be used for pecuniary interests of any party, or contain monetary or sexual solicitations is prohibited.